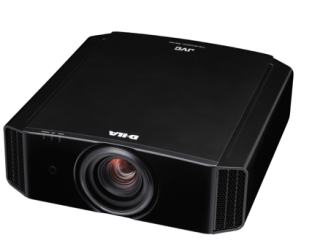 JVC Visual Systems Division will introduce its new BLU-Escent laser hybrid illumination projector technology at I/ITSEC 2014, the leading event for training and simulation, this week in Orlando, FL. The company will display its new DLA-VS2500ZG and DLA-VS2300ZG projectors, optimized to meet the stringent requirements for simulation and visualization applications. Projectors used in simulation operate for long periods, so there is a desire to move away from lamp-based projection to solid state illumination. Projectors using LED light sources are in the market, but they have typically sacrificed contrast and scene quality. The DLA-VS2500 and DLA-VS2300 represent the first three-chip laser hybrid projectors specifically designed for simulation, and have been designed to meet both FAA Level D and ICAO regulatory requirements. JVC has paid particular attention to the design of the new BLU-Escent illumination system, the key point to high performance, motion compatibility, and long lifetime. The JVC BLU-Escent hybrid technology features a blue laser diode array that provides the blue light and excites a yellow phosphor, which is applied to a high-speed, reflective rotating aluminum disc. The yellow light is then combined with the blue light to create white light. The environmentally friendly technology is mercury-free. BLU-Escent projectors reduce maintenance and lower the cost of ownership by increasing the illumination and optical system life. The new projectors have increased light output, more consistent colorimetry, and greater light output adjustment range including auto intensity function. The new light source also removes orientation restrictions, allowing mounting in landscape or portrait mode at any pitch angle. The DLA-VS2500 and DLA-VS2300 use three, 0.7-inch 1920x1080 D-ILA imagers. The VS2500 comes equipped with JVC’s unique e-shift technology, which shifts the image by 1/2 pixel in the diagonal direction at 120Hz, achieving 3840x2160 precision.